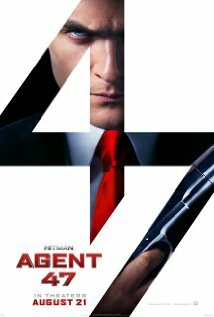 20th Century Fox releases Hitman: Agent 47 nationwide on August 21st, 2015. NYC MOVIE GURU: What challenges were there when turning the video game into a film? Aleksander Bach. : I think to make this successful, if you do game adaptation, what you need first of all is a great story, and you need great characters. You need great actors to bring it to life. When you have this and you combine it with great action and something which feels fresh, then you have a chance to put the puzzle together in a very nice way and that you create something which feels right. When it’s based on this game, Hitman, and you have this cold assassin, Agent 47, you also need to care for this guy. When he’s just too cold, it doesn’t work. NYC MOVIE GURU: Rupert, how did familiarizing yourself with the video game enhance your experience acting in the film? Rupert Friend: I found the games very useful, particularly the later absolution game. The game-makers have clearly used an actor for the character because there was a motion-capture thing I could feel. The way that the character moved was very interesting to me. There was something very graceful about him. This is a guy who takes such pride in his clothes – the iconic suit and tie. And yet, he’s able to fight very efficiently in a very inefficient kind of uniform. That deadly grace, if you like, was at the center of something very physical for me. When I got the role, I began training with Zachary [Quinto] in a boxing gym with a great guy, so I was doing this very brutal, efficient, Israeli self-defense technique, [Krav Maga], and trying to marry that with something a lot more balletic. NYC MOVIE GURU: Zachary, how did it feel to shoot in the cities of Berlin and Singapore? Zachary Quinto: Berlin is probably my favorite city after New York, and that was an incredible experience to be in a city that I’ve known so well for such a long time. I’ve been going there a while. I have friends that live there and stuff. So, to work there, to live there, and to use the city as a kind of playground for this film. And then, the architecture of Singapore. This is the first Hollywood studio film to shoot in Singapore. That was a real milestone, I think, for all of us involved. It’s an incredibly, stunningly beautiful architectural city. And the way that [Aleksander Bach] and Óttar Guðnason, our incredible DP, brought that to life and put it on the screen is really sleek and dynamic and goes a long way to satisfy the appetite of gaming fans who are really used to this cinematic immersion. I think the movie brings that into focus. NYC MOVIE GURU: Hannah, what did you find compelling about playing your role? Hannah Ware: Katia is introduced as a girl who’s seemingly normal and not genetically modified, so the human component is there from the outset. For me, personally, I always want to see films where it reflects some universal feelings and themes. Which writer says you need to know you’re not alone in the world? I think people watch movies to, in some way, identify with the characters. So, if there was no human component, you would be left cold, and you wouldn’t be compelled to watch. NYC MOVIE GURU: What about you, Rupert? RF: I was particularly interested by the notion that this guy, who’s been genetically engineered to be “perfect” and that the flaw in that perfection might be his humanity and that his makers might consider that to be a real rogue bit of programming. And yet, if you look at it from the paradigm shift from the other side, that could also be his greatest strength. The idea that this guy who’s not supposed to have feelings or vulnerabilities, hopes, dreams, any human relations might indeed have them, and they would be considered flaws by some and actually be his greatest strength. That was interesting to me because it opens up real wonderful questions about what humanity is.